The time has inevitably come. The San Jose Sharks lost out to the Vegas Golden Knights in the second round 4 games to 2. Elimination games are never easy, and this one was no different. However, I have to say. 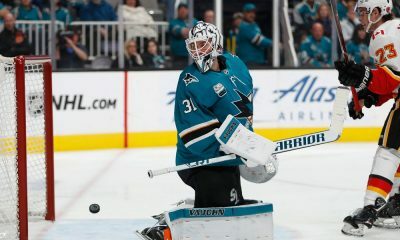 This one stung a little more than last season when the Sharks were eliminated in six games as well by the Edmonton Oilers in the first round, only because this team showed a lot more promise. I remember last year, the Sharks went into postseason incredibly banged up, most notably with Joe Thornton playing with both a torn MCL and ACL. This postseason, though, the Sharks were not exactly fully healthy either. Look, this Sharks team — love ‘em or hate ‘em — was impressive. 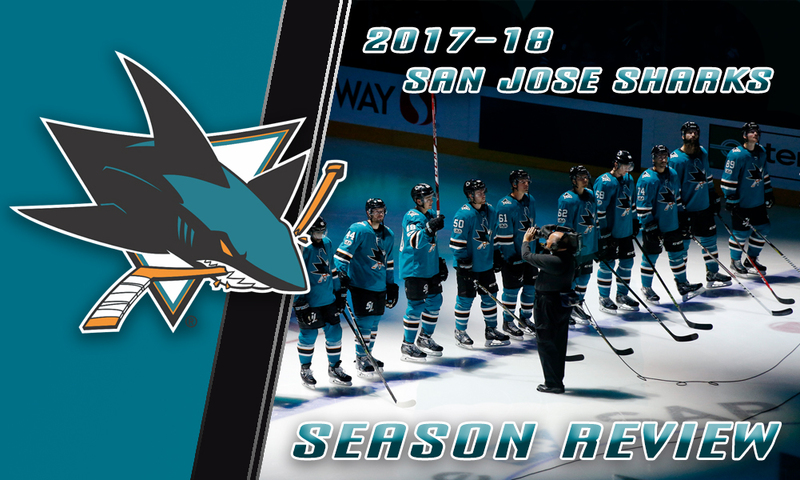 Coming into the season, they were without Patrick Marleau, who’d been a Shark his entire NHL season up until, of course, the 2017-18 season. There were a lot of questions about how the organization would replace his production. The guy had 27 goals last year. Nevertheless, like any other season, the Sharks had their ups and downs. This year the acquisitions of Evander Kane and Eric Fehr at the trade deadline proved to be huge. Huge for the team’s production and to boost their morale, essentially. Think about it. Before the trades, a lot of people were wondering whether or not team teal was actually going to make the playoffs because the Pacific Division was so tight. Would they just barely squeak into the playoffs? Would they miss out and a team like the Calgary Flames come into the picture? And bear in mind that Calgary had a pretty strong push coming into the playoff race up until the very end. The dagger to their postseason hopes, in my opinion, came in that 7-4 drumming at the Scotiabank Saddledome in which Kane recorded his first career NHL hat trick and four-goal game. And then of course, you add the injury to Jumbo Joe when he blew out his right knee on January 23rd against the Winnipeg Jets. The speculation began with would Joe Thornton see ice time before the season ended, maybe during the final week of the regular season? That didn’t happen. Did he come into the series against Anaheim? Nope. He eventually, and possibly inevitably, didn’t draw into the series against Vegas either. Throughout all that though, again, the Sharks despite losing against the better team in the Golden Knights showed a lot of poise this postseason for what the expectations were. 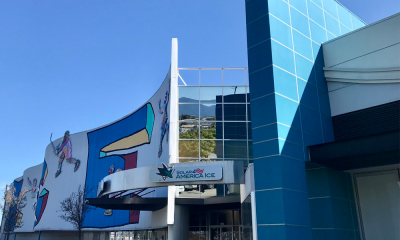 Now comes even more of the rumor mill with the offseason here for San Jose, and make no mistake about it ladies and gentlemen. This could potentially be Doug Wilson’s most important offseason yet as general manager, because he’s got a whole host of difficult and interesting decisions to make especially with the amount of cap room he has. According to Cap Friendly, the Sharks have six UFA’s and three RFA’s heading into the offseason, Thornton being one of them. Did we see him play his last game in teal in January? Will he back for a discount next season? Will Evander Kane re-sign with the Sharks? If Jumbo doesn’t come back, will Doug Wilson actually get John Tavares from the New York Islanders? Or if not, what will Doug Wilson’s big fish be? Those are all questions that will have to be answered. 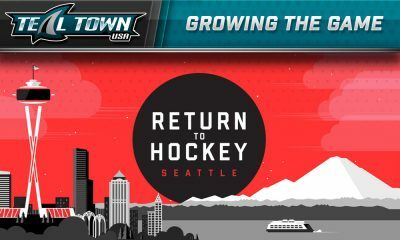 As always, you can find all the hockey coverage here at Teal Town USA including this season review that you just read. 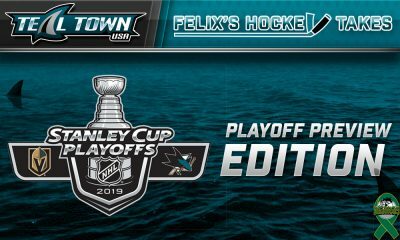 We also have plenty of great audio content such as the postgame After Dark vodcasts as well as the Teal Town Interviews. We’ll have all the latest breaking updates in the hockey world as well as NHL Draft coverage when the time comes. This may be my last article of the season. I might have more hockey takes on my Twitter @TealTownGhost, among other non-hockey related stuff I tweet about. But it’s been a great ride. I love this team through it’s ups and downs. I’ll always be #SharksForLife.